The WindMaster RA (Right Angled) 3D Sonic Anemometer will monitor wind speeds of 0-50m/s (0-100mph), providing users with data via digital outputs for U, V, and W vectors as standard. Standard outputs are also provided for Speed of Sound and Sonic Temperature. The lightweight WindMaster RA is constructed from aluminum and carbon fiber and is available with either a 20Hz or optional 32 Hz data output rate. Optional analogue inputs and outputs are available with either 12 or 14 bit resolution. 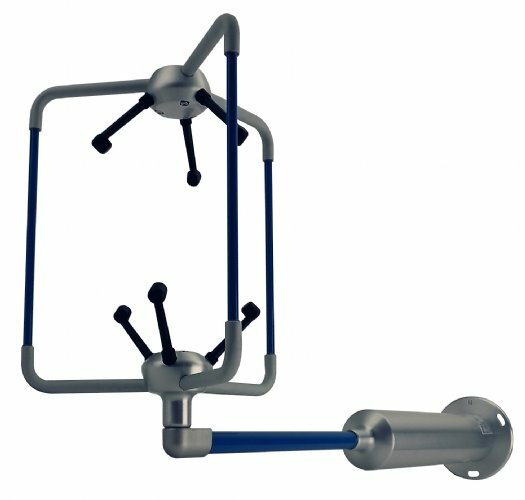 The WindMaster RA 3D sonic anemometer offers an alternative head design where an omni-directional measurement concept is desired while minimizing any mechanical influence in the vertical wind plane to provide users with the least disturbed wind measurement for non-stationary measurement applications with a known predominant wind direction (tethered balloons, land vehicles, marine vessels, etc.). 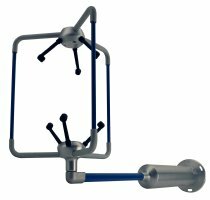 This right-angled 3D sonic anemometer is ideally suited to the measurement of air turbulence around bridges, buildings, wind turbine sites, building ventilation control systems including clean rooms and component fabrication plants, meteorological and flux measurement sites.